(2013) is an autobiographical work performed by Hanna and Heidi, and based on their ongoing couple therapy. The work, a collaboration with Wendy Houstoun, dissects the double act, the notions of being a twosome, its power struggles and compromises. 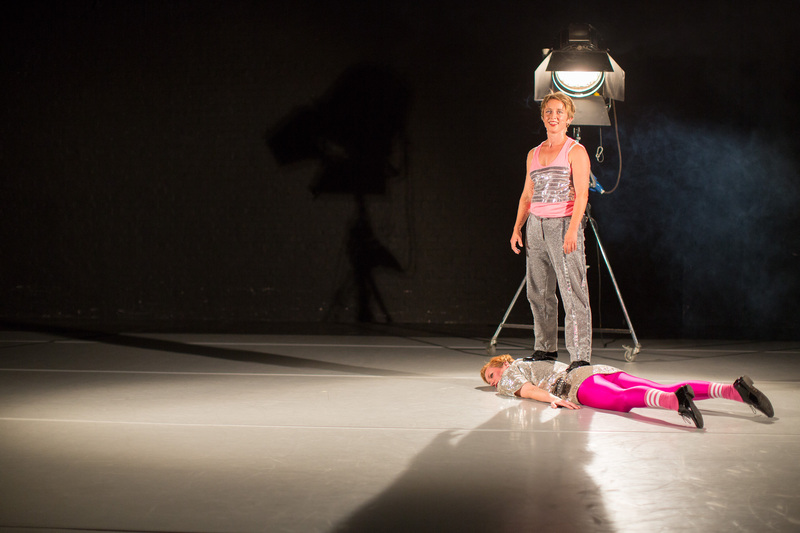 DUET was commissioned for The Place Prize for dance sponsored by Bloomberg, Funded by: Arts Councils of England, Norway and Sweden, Region Värmland Sweden. Co-production DansiT Trondheim Norway, Studiotrade Cologne Germany, Dans i Värmland Karlstad Sweden, South East Dance and The Place UK. Supported by Escalator East to Edinburgh and The British Council Edinburgh Showcase.